This week I bought one book. 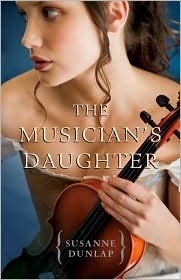 The Musician's Daughter by Suzanne Dunlap. What did you guys get? Link in the comments, I'd love to see! I've heard of the Magicians Daughter. It sounds like a great book! Sounds like a good one. I love books that deal with any kind of music. Looks like a good one. I read Anastasia's Secret by Susanne a while ago and liked it. I like the cover! I'm looking forward to your review of it. Happy reading! Oooh, what a lovely book! I hope you enjoy it, it sounds really interesting.